After coming off of my last show at the Arts Company, which was primarily focused on abstract work, I began searching for ideas and inspiration for my next exhibition of work. 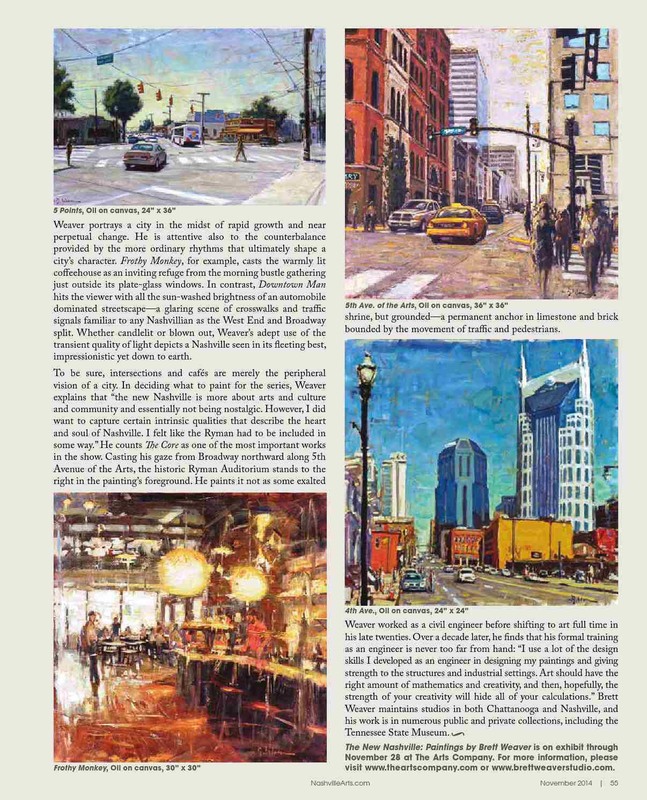 Back in the winter, after finishing up a large cityscape of New York City with all the energy and movement of the people and tall buildings and taxi cabs, I came up with the idea of taking all the growth and energy that’s currently happening in Nashville and capturing it in the same way I did in ‘5th Ave NYC’. When I presented this idea to Anne and everyone at the Arts Company they were so excited about it that Anne immediately said let’s go ahead, and set a date for the show. One of the main reasons I began doing abstract paintings was to get away from my paintings being about specific places. A painting needs to be a good painting no matter what it is. This was more important to me in putting together this show than just going around copying places or locations. It has to be about the energy of the place and something that speaks to me about the place, with a strong abstract design as well. In order to do this I determined I needed to have a more permanent presence there. So I rented a studio in Germantown and moved up to Nashville in February to begin working on the show. 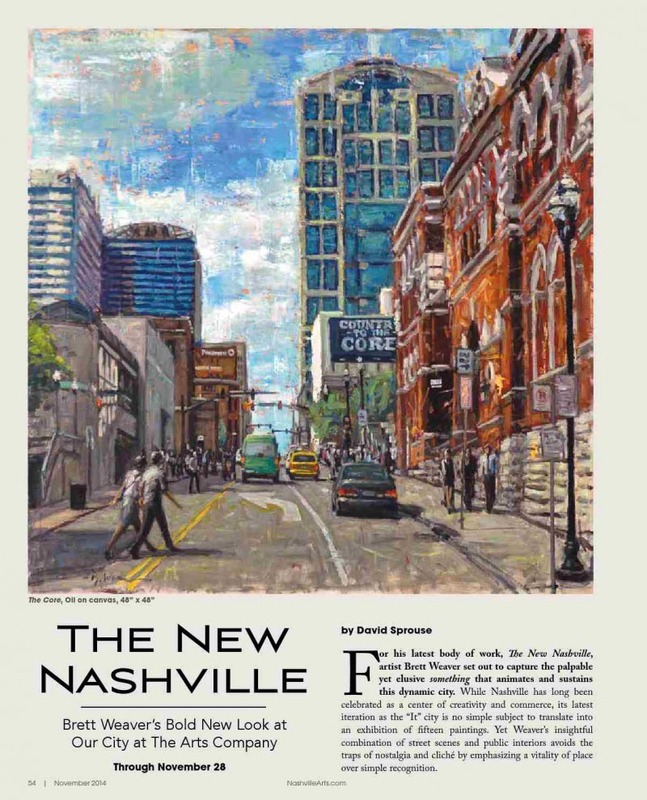 I’m honored to be featured in this article about the show in the November issue of Nashville Arts Magazine.